Archangel Gabriel inspires and guides you to deeper understanding. Through dreams, inspired inner knowing, and true listening of the voice within, you can ‘hear’ Gabriel’s guidance. 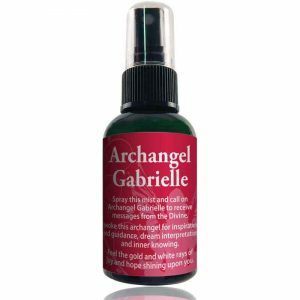 Gabriel is a Divine Oracle and through self-development align with this archangel to develop your own oracular skills. Archangel Gabriel is well known as the messenger to announce the birth of the Messiah 200 years before his birth when he ‘appeared to Daniel’. 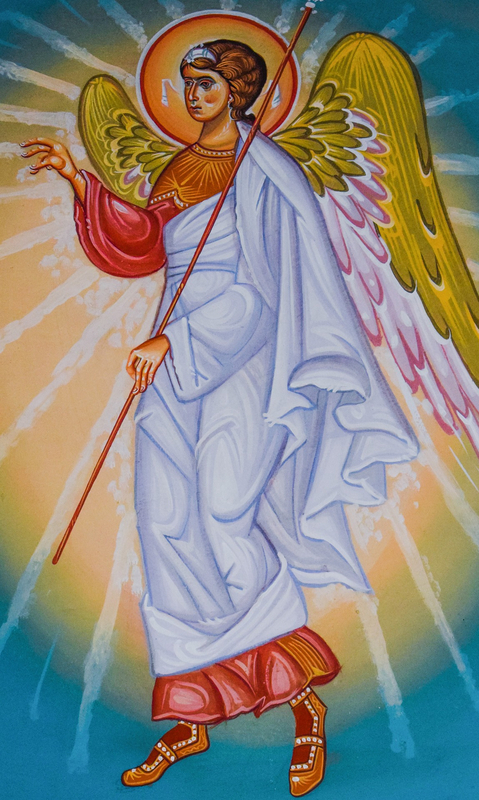 Gabriel is the Angel of the Annunciation. Gabriel spent around 22 years upon Earth appearing regularly to dictate the Koran to Mohammed. And, other incidences of note are that Gabriel also appeared to Zacharias to let him know of the birth of John the Baptist or John the Precursor. His wife, Elizabeth, was too old to give birth so when Zacharias didn’t believe Gabriel he struck him mute until the baby was born. Gabriel is also known to be the angel that seals the secrets of heaven and prior lives within the child by pressing her fingers to their lips leaving a soft mark that appears as a cleft beneath the nose. There are many gemstones that can amplify your connection with Archangel Gabriel. A few of them are Ammonite, Dolomite, and Scolecite. The guidance of this archangel strongly points to going within to know, hear, and experience truth and information. 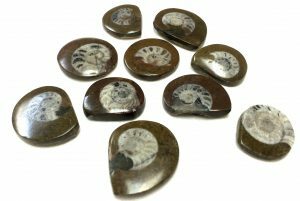 The spiritual uses of ammonite send you into the center of your own consciousness due to the spiraling structure of this fossil. It’s especially useful to use for dream work, meditation, spiral dance, and walking a labyrinth or a medicine wheel. Because of this fossil’s association with snakes or serpents, ammonite has been associated with healing power and oracular abilities. Dolomite improves the meditation experience. Use this stone with the intention of creating new pathways of consciousness by opening up to unexplored avenues for raising your awareness. For example, instead of a sitting meditation, try a moving meditation such as tai chi or a nature walk or explore lucid dreaming and shamanic journeywork to expand your spiritual horizons. 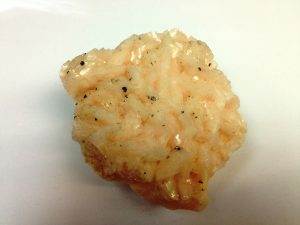 The spiritual uses of Scolecite include that it amplifies your intention to remember your dreams. 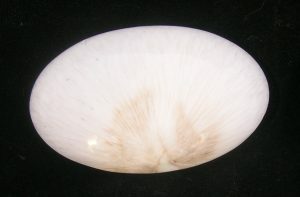 This stone opens the portals residing in the crown, third eye, and throat chakras, allowing for the download and processing of Divine inspiration, healing light, and true wisdom. It is especially beneficial for guiding your higher consciousness to be a Divine channel of God’s love and to connect with Archangel Gabriel. Every day is a good day to call on the assistance of your angels. Remember that you always have an angel at your side. Feel grateful that angels light your path and inspire you. Know that you are able to handle any situation that arises. Stay focused on angelic assistance and appreciate the support available to you from them in all areas of your life. Allow Archangel Gabriel to inspire and guide you through dreams and inspiration. Believe yourself and know the true voice within.